A teenaged girl’s prophetic powers constitute the eye of several storms brewed up in the magical-realist’s overstuffed, ungainly, improbably absorbing 16th novel. Taking a page or two from her Practical Magic (1995), Hoffman (Blue Diary, 2001, etc.) once again creates a trio of women gifted and burdened with extrasensory powers. Stella Avery discovers on her 13th birthday that she is able to see people’s futures—an alarming phenomenon that causes her father Will to be falsely suspected of murder. Stella’s mother Jenny, contentedly divorced from the feckless Will (who has a long history of selfish and irresponsible behavior), similarly troubled by her own ability to “read” people’s dreams, sends Stella away from scandal and possible danger to live with maternal grandmother Elinor, a widowed recluse who tends her beloved garden and considers the fruits of her ability to “smell out” falsehood, while she’s dying of cancer. First Jenny, then Will follow Stella’s path, and the tale opens—often quite awkwardly—to involve Elinor’s physician and friend Brock Stewart (who has secretly loved her for decades); Jenny’s formerly mousy high-school classmate Liza Hull (a woman reawakened and transformed by love); Dr. Stewart’s affable grandson Hap, who befriends Stella and falls for her acerbic visiting girlfriend Juliet Aronson; Will’s “good” brother Matt, a scholarly bachelor who has never forgotten Jenny; and the 17th-century figure of Rebecca Sparrow, a troubled and doomed woman evoked by both Matt’s historical researches and the experiences of her descendants, which are eventually seen to be replicating Rebecca’s own. 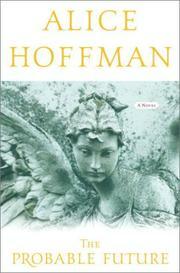 Hoffman flits from one center of interest to another like a distracted butterfly. The effect is both jarring and intriguing. We’re interested in all her people, but their subordination to the increasingly busy plot tends to drain away interest created by their beguiling individual eccentricities. Enough stylish invention here for several novels, but this one’s center cannot hold. Maybe next time.